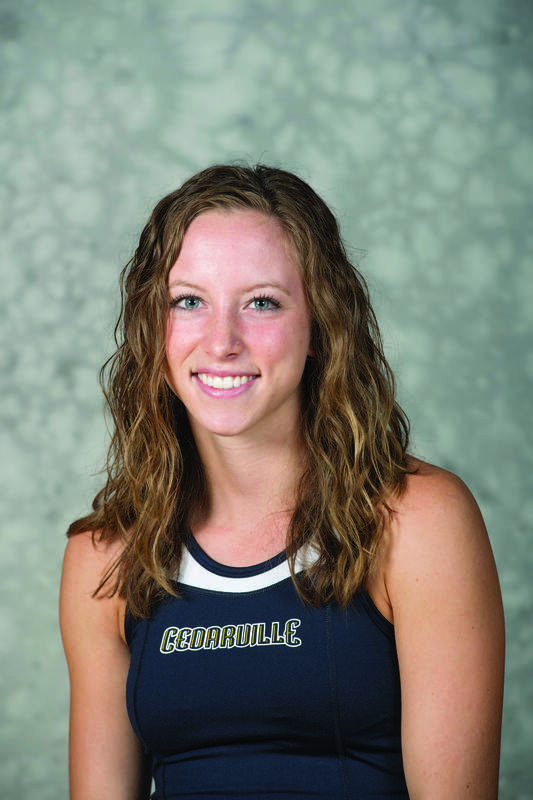 Almost every student at Cedarville University recognizes junior track star Carsyn Koch as a record-breaking athlete who went to the United States Olympic Trials this summer. Koch set a school record in the 800 meters almost every time she ran last season. She beat the Olympic trial qualifying time of 2:03 back in May, finishing the 800 in 2:02.39. 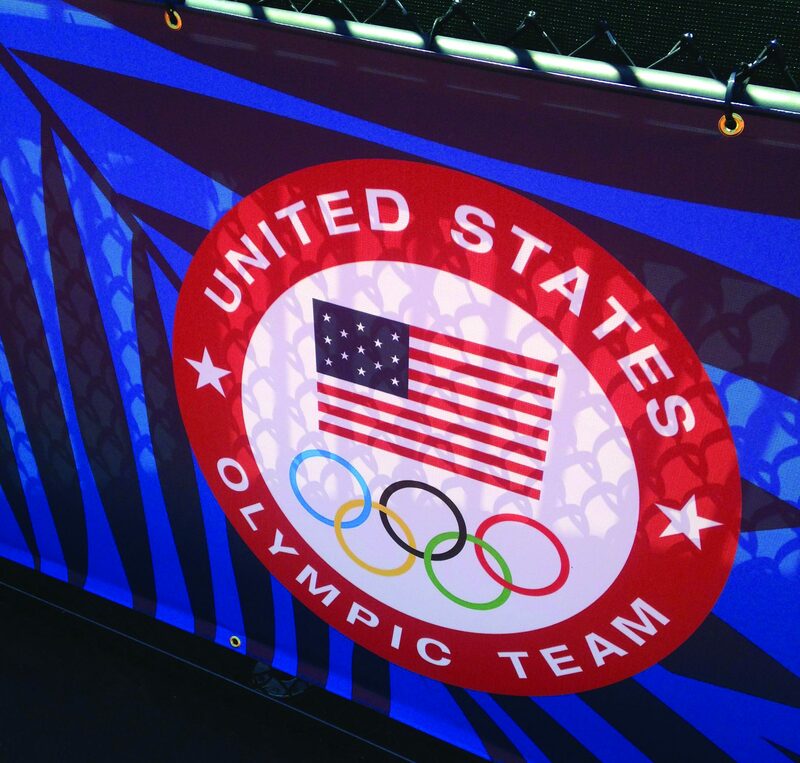 Koch went on to Oregon for the trials in July, where she finished fifth in her heat with a time of 2:05.57 seconds. She did not make the Olympic team. Despite accomplishing so much in her two years at Cedarville as a track athlete, Koch said athletics is not how she wants people to identify her. “I want people to know that I love God and that I love Cedarville,” Koch said. She said she believes she is simply using the gifts God has given her. Koch said she hopes that when people get to know her they will realize she is more than just an athlete. However, she was more than excited to qualify for the Olympic trials. She said she almost did not run in her final race to qualify because it was the week before her final exams and she was under a lot of stress. She said running the qualifying race was a great idea. She was very happy when she heard she qualified. After her final exams and NCAA Division II nationals, Koch stayed in Cedarville for almost a month to train with Cedarville’s head track coach Jeff Bolender. She also had days when she trained alone. As a social person, Koch said being mostly by herself most of the summer made the whole training process difficult at times. Koch said it was great to have Bolender with her to encourage and motivate her. Bolender also helped organize transportation for himself, his wife and Koch to go to the trials. Koch’s family as well as former Cedarville track star Jane (Romig) Brooker joined them in Oregon to watch her compete. Most of the records that Koch has broken at Cedarville were previously held by Brooker. Brooker has also competed in three United States Olympic Trials. Koch said the atmosphere was serious, but the intensity at the race was calm. She said it is because everyone there knows they have trained really hard to get there. She said the day of the race is when you trust in your training. Koch said interacting with the athletes made her realize they are people too. She said all the people she looks up that may seem untouchable have a personality and get nervous too. When it came time to race, Koch said she was more nervous than any race she has been in. She said she knew a lot of people were watching her from school, her hometown, and on TV. Koch said she was not satisfied with where she placed at trials. She said she let her nerves get in the way and that she was disappointed with her race strategy. Koch said she has been used to getting a new personal record (PR) in almost all of her races. She said eventually she knew she was not going to get a PR. She said coach Bolender also told her that just because it is a big race does not mean a new PR. She said the day of trials was that day. Koch said the trials were a wake up call for her in that her identity is mostly athletics. She said she does not want to be known as just a runner. She said she realized there is more to life and that athletics should not make you feel disappointed in yourself. Bolender said he was not disappointed in Koch at all. He said people do not realize how hard she and the other athletes worked to get where they are. Koch said has a few goals she hopes to achieve in the future. She wants to continue to pursue a career in nursing while at the same time staying in shape and running. She said she hopes to return to the trials in four years. Josh Burris is a senior journalism major and the sports editor for Cedars. He is interested in sports broadcasting and reporting. He enjoys watching sports, lifting, and listening to rock and rap music. 1 Reply to "More Than a Runner"